There are not many home remodeling projects that can make a home look more elegant and feel more timeless than a hardwood floor refinish. Refinishing wood flooring companies in Toronto make it easy to achieve this feature. But before you make that move, take these 4 tips into account. 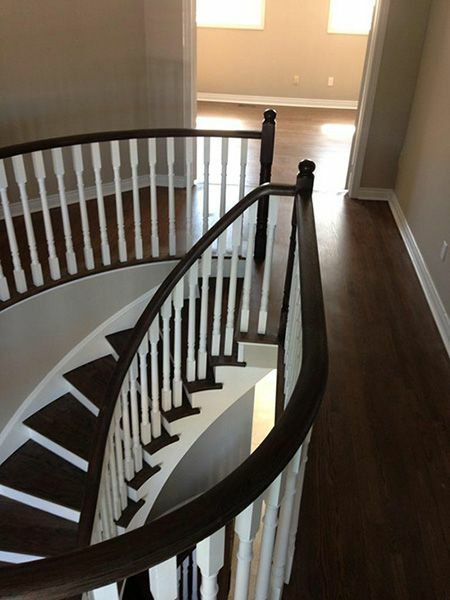 Hardwood floors can look beautiful when refinished, but only if they are done correctly. You may think about doing the job yourself in order to save money. Before you go out and buy that buffer, know that refinishing floors can not only be time-consuming, but also require a lot of work. Professionals are less likely to make the mistakes that an inexperienced person could make. Consider hiring an expert. Do thorough research to find a contractor that can adequately complete your refinishing job, but charge an affordable amount. Costs of jobs are usually dependent upon square footage of the rooms that need to be worked on and your geographic location. When using refinishing wood flooring companies in Toronto and other areas, color of stain must also be kept in mind. Getting the floor refinish of your dreams is worth the wait, but that does not mean that wait will be easy. Dust and odor from the polyurethane and stain can become a distraction. Also, you will not be able to use the areas where work is being done. Consider staying at another location. Inspect your floors after the work is completed. It is important that your contractor sticks to the terms of your contract. If for any reason your contactor has not fulfilled the terms, be sure to let him know what issues you have with the work that is been done. The right refinishing wood flooring companies in Toronto can help you accomplish just the effect you are looking to get. Do your research and use these tips to find the best flooring contractor for your needs.